Originally published on The Vintner Project. A wine article about Poland? Yep, you read that correctly. Like any good wine writer, I took every opportunity to turn my recent trip to Poland into a wine discovery mission. Wawel Castle is beautiful and pierogi are delicious, but what about the wine? I heard it was there and I needed to try it! I discovered that, yes, Polish wine does exist, but no, it isn’t like much of the wine I have had. 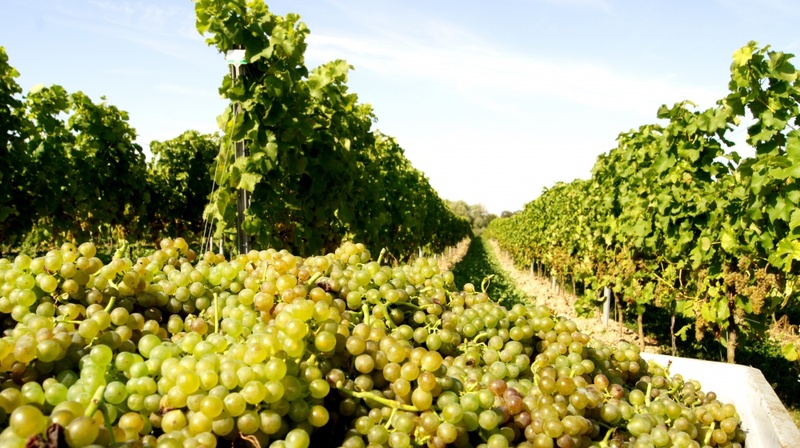 For starters, it is primarily made from hybrid grapes. Given the limited wineries, it’s also not that easy to find! After a bit of searching, I tracked down two of the major white hybrids powering Poland’s emerging wine industry: Hibernal and Solaris. The Poles like Hibernal for its winter heartiness and resistance to disease. (Even though global warming is tempering Poland’s continental climate, winters are still far from balmy!) It is a German crossbreed of Seibel 7053 and Riesling clone 239 grape varieties. Seibel grapes are group of hybrids from European and American varietals, primarily Aramon (vinifera), Alicante Bouchet (vinifera), Jaeger 70 (labrusca), and AxR1 (crossbred rootstock). As you may guess from its lineage, Hibernal creates an aromatic, fruity, spicy wine. Intrigued by this profile, I grabbed a bottle of Dom Bliskowice’s Wino Biale Polwytrawne Pet-Nat, made of Hibernal, from Krakowski Standard in Krakow. I found flavors of fresh red, yellow, and green apples, along with baking spice, white pepper, and lemonade. It had a touch of residual sugar that was balanced by racy acidity. It would pair well with spicy Thai or Indian cuisine. We have the Germans to thank for this grape, too! Solaris is a cross between Merzling (Seyve-villard 5276 x (Riesling x Pinot gris)) and Gm 6493 (Zarya Severa x Muscat Ottonel). Like Hibernal, Solaris can stand up to cold temperatures, pests, and disease. It is also known for its early ripening—a must in colder climates. At a small wine bar in the Kazimierz district of Krakow, I ordered a glass of Winnica Turnau’s Solaris. Winnica Turnau is one of Poland’s premier producers, and their wine did not disappoint! My glass of Solaris was crisp and fresh with some residual sugar. Flavors included lemon custard, fresh sweet apples, and applesauce. I think it would make a wonderful aperitif. On my next trip to Poland, I’ll be on the lookout for the red-skinned hybrids Rondo and Regent. Like Solaris and Hibernal, they are also grown in small numbers in the United States and Europe, including the Netherlands, Sweden, England, and Germany. Interested in wine travel? 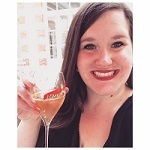 Here are my guides to Paris, Reims, Krakow, and NYC.